新年快乐. Happy Year of the Rooster! May the New Year bring you good fortune! The beginning of the lunar year has begun, and millions of people across the world will be gathering with family and friends to get out the fireworks and celebrate Chinese New Year. January marks the beginning of the Year of the Rooster, defined by the Chinese zodiac cycle. 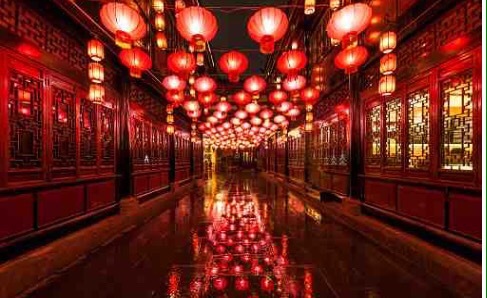 Chinese New Year takes place on a different date every year, because it is based on the lunar calendar. 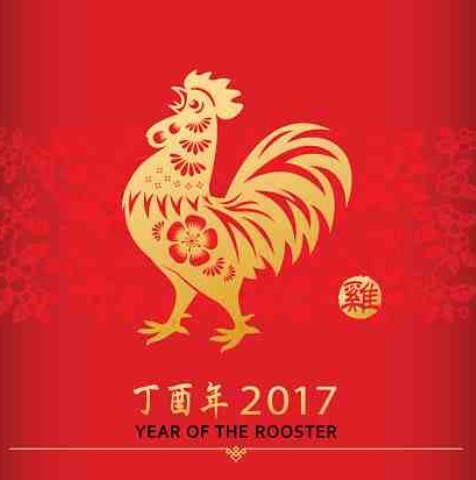 The New Year is traditionally marked with the giving of gifts, lucky money and celebrations with family, as well as looking to what the sign of the Rooster symbolically means for the year ahead. Living in China for one year, I was teaching ESL & Music at a Montessori school in Guangzhou China. Chinese New Year brings upon memories in my mind as an unforgettable experience. Celebrations began on New Year’s Eve, and it lasts around two weeks, called “Spring Festival” making this the longest holiday in the Chinese calendar. It is celebrated with the ringing of bells, the lighting of firecrackers and watching traditional lion dances and dragon performances. It is seen as an important date, with families gathering together for a reunion dinner. Fireworks are then released to signal the end of last year and the beginning of next. On New Year’s Day, families gather, clean their houses and wipe away and sweep away bad-fortune. Red envelopes stuffed with “lucky money” are given to children, along with written wishes for their kids to grow up happy and healthy. People also decorate their houses with red paper cutouts, banners and special New Year paintings during the festive period. For this year, it is likely to see Rooster themed decorations. Chinese people believe that a good start to the year will lead to a lucky year. Year of the Rooster. Every 12 years there is a Rooster year, beginning at Chinese New Year. A year of the Rooster comes after a Monkey year and before a Dog year. In Chinese astrology, each zodiac year is not just associated with an animal sign, but also one of five elements: Gold (Metal), Wood, Water, Fire, or Earth. 2017 is a Fire Rooster year. Element-sign combinations recur every 60 years. This is a year believed to bring Trustworthiness with a strong sense of timekeeping and responsibility at work. It is also a year of courage.